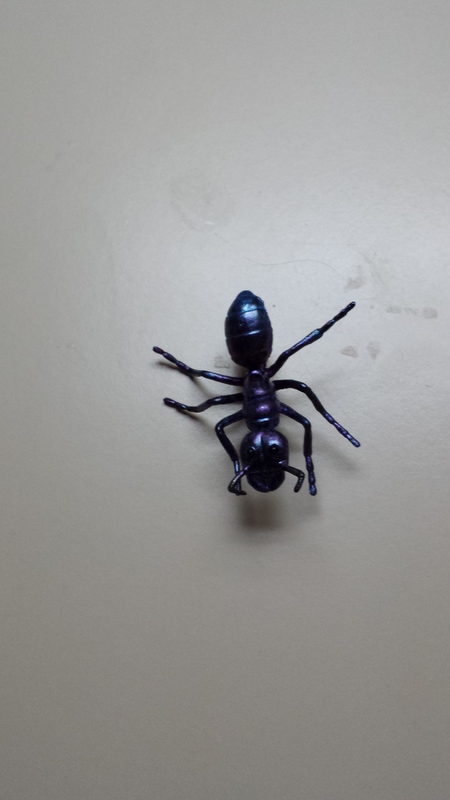 Okay, I left you with a teaser about ants on Monday. Over the years, I have made absolutely no secret about my love of ants. I call them one of the organic gardener’s 3 best friends (the other 2 being spiders and worms). But ants are always first and not just because they are the workhorses of the garden. I adore them. I even have this great pin to show my love. Anyway, here’s what’s so great: ants pollinate a lot of our spring native wildflowers. Plants like trillium, dutchmans breeches, bloodroot, and hepatica all get pollinated by the lowly ant. I’ll bet you’re feeling a lot worse about spraying that Ortho Home Defense now, aren’t you! In fact, lots of these natives need the ants to reproduce. It’s a complicated relationship. In these particular wildflowers (as well as others not so beloved like violets) the seed contains a little gooey piece that the ants like to eat called an elaisome. And perhaps “pollinate” isn’t quite the right word because the ants don’t take nectar in the way that a bee does, for example. Instead, the ants carry the seed of the wildflower back to the nest, thereby dispersing the plant far and wide. They do this because of that elaisome. It contains lipids and proteins (according to Wikipedia, as well as various other sources like the excellent Spring Wildflowers of the Northeast, which contains an exhaustive list of the plants that ants visit, as well as some really great photos of them doing so!). The elaisomes are fed to the young, while the unused part (the seed) are disposed of in the part of the ant colony set aside for waste. Since that waste disposal area contains all sorts of other rich nutrients, the seeds germinate and new plants grow in areas where there were none before. So please–no one is asking that you permit ants to infest your homes or to bite you or your children or pets. But if you can safely leave colonies at a distance away from your buildings, please do so. Ants really are “pollinators” in every sense of the word. Next Article Bees Do Not Care About Stinging You!